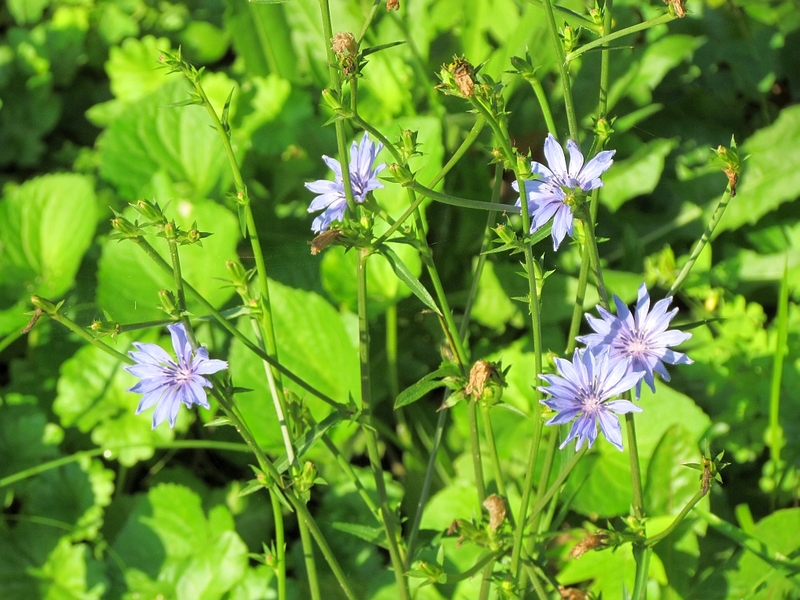 A Widespread Blue Wildflower for Ohio’s Summer. There aren’t lots of blue wildflowers in Ohio, it seems. Purple, sure. Violet, we’ve got that covered. But blue? They’re out there, but you have to know where and when to look for them (I’ll be talking about them here eventually). Blue it seems got short-changed, taking a back seat to such popular colors as yellow, pink and white. What the color blue lacks in variety among Ohio wildflowers, it makes up for in the sheer abundance from one particular plant. Ohioans are familiar with this sight.